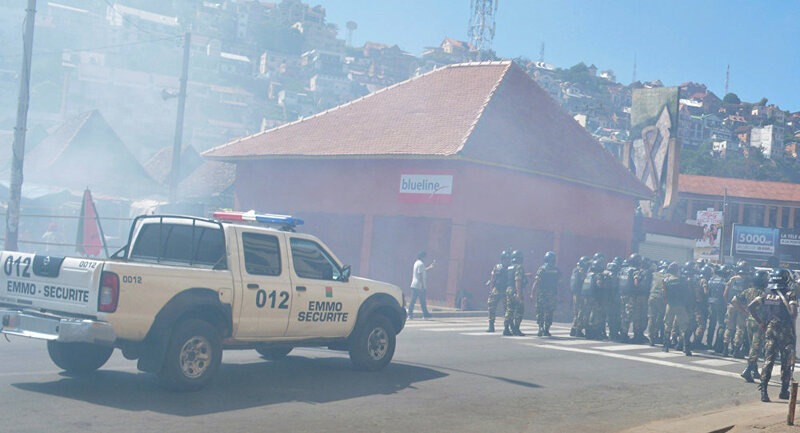 MOSCOW (Sputnik) - At least three people were killed, and around 20 others were injured as the authorities were dispersing demonstrators in Madagascar's capital of Antananarivo, African media reported on Saturday. Earlier in the day, several thousand opposition supporters took to the streets in Antananarivo in protest against the new electoral laws, which had been introduced in the African island nation in the run-up to the general elections set to take place later this year. Police used tear gas, rubber bullets, and concussion grenades to suppress the demonstrators, RFI Afrique radio broadcaster reported. There are reportedly two children among those killed in the demonstration. In November and December, Madagascar is set to elect its president and members of the lower house of its parliament. The country's opposition has been claiming that the recently introduced electoral legislation is designed to favor the ruling HVM party and hamper their candidates from succeeding in the votes.